Yay! 2019 Registration is open! Please read the information on this page carefully. This year, Nichols Day Camp is once again partnering with CampDoc.com to better serve our campers and staff. 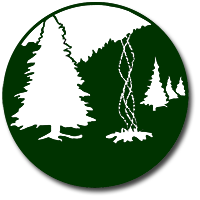 CampDoc.com offers online registration and an electronic health record system for camps. You can now register your camper and complete their health information all in one place. The security and privacy of your camper’s health information is important to us. The CampDoc.com site is secure, encrypted, and password protected. Only Nichols Day Camp office staff will have access to camper health information. To read more about their security policies click here https://www.docnetwork.org/security/. Once you sign up for a CampDoc.com account, you will be able to register your camper and make payments online. If you enrolled your child through CampDoc last year, you can use the same log-in that you used last year. Afterwards, you will receive more information on how to complete your camper’s health profile. We’re excited to let you know that most of your camper’s information will save from year-to-year, so once you complete it in CampDoc.com, you won’t have to start from scratch next year. If you do not have access to an online source, please contact our office and we will be happy to help you through the registration process. Need based tuition assistance for up to two weeks of camp is available, in the form of a Campership, to campers who have at least one parent/guardian who is a year-round Hancock County resident. Campership applications are made through CampDoc and appear at the end of the Health profile for your camper. You must register your camper which requires a $50 deposit for each session. Campers receiving a full campership will have their deposits refunded. Deposits will be reimbursed if your camper does not qualify for a campership and you cancel your registration upon notification. If the $50 deposit is a hardship, please call our office at 207-374-9906. Payment plans are also available. The deadline to apply for Camperships is May 31st. Applications that are received after the deadline will be considered as additional funds become available. of the balance less deposit. Except for reasons of serious illness, no refunds will be be made after May 15. If and only if there is a wait list and someone fills your spot, you will receive a refund. No refunds or transfer of funds will be given for withdrawal, dismissal, absence or sick days. Done reading the above links? Click on the registration link below to begin! If you have questions about the CampDoc program, check out the Question and Answer drop down under Registration first before calling the Camp office. CampDoc also has their own help desk ready to answer questions not on this list. If you have questions about camp specific things, please call us at the camp office 207-374-9906.